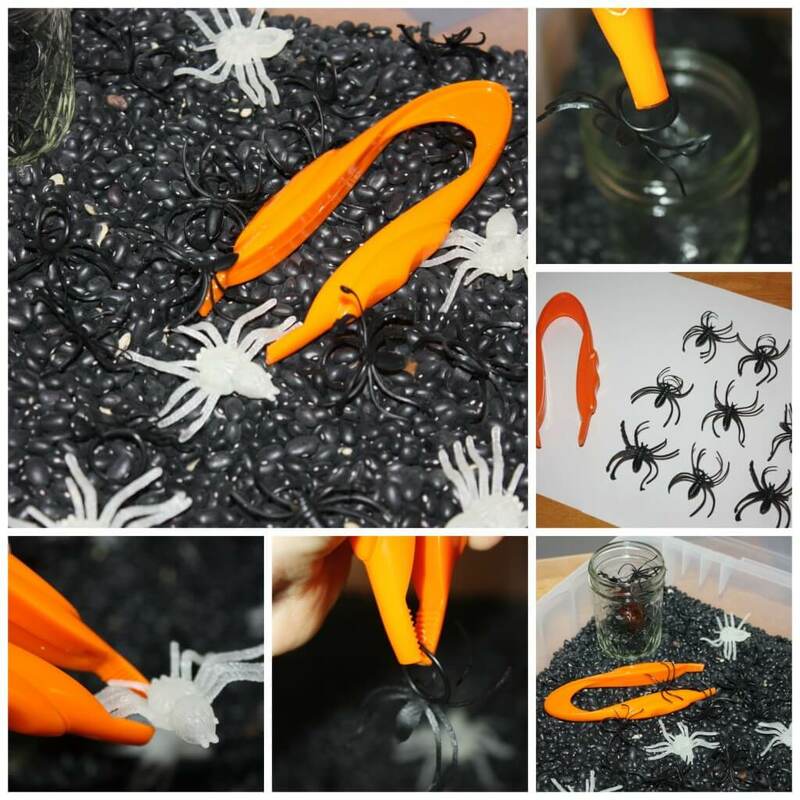 Super quick and easy to set up spider sensory bin for kids! Practice counting and fine motor skills while engaging in tactile sensory play. This simple fine motor sensory bin is perfect for early childhood development and young kids. Sensory bins can be a useful tool to engage a child and practice fine motor skills as well as other early learning skills like counting! Read more about the importance of sensory bins and everything you need to know to get started, here! It’s an excellent resource that answers many key questions about sensory bin use with children. 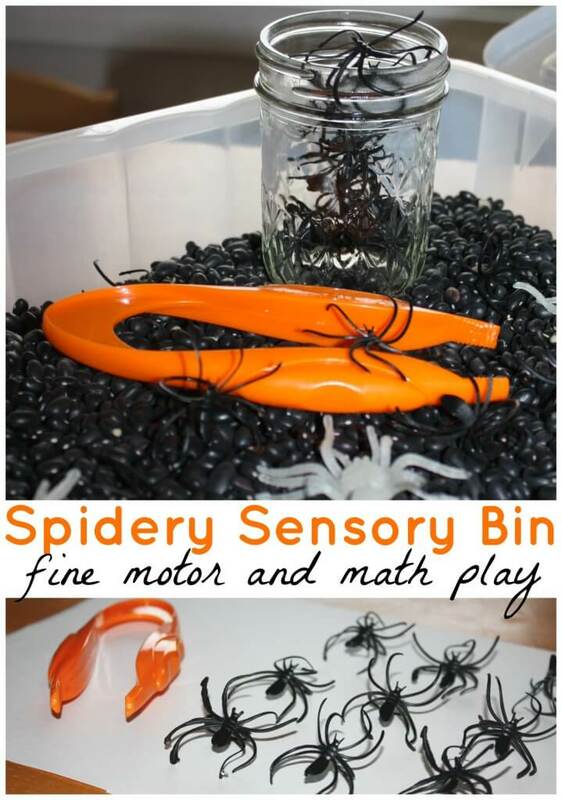 Assemble your black beans and spider sensory bin and you are good to go! Allow time to explore sensory bin without direction to satisfy sensory needs, filling dumping, etc! What would you add to a spider sensory bin? This is a super quick and easy sensory play activity to throw together with lots of room for play and learning! What else can you add? Turn it into a literacy sensory bin for letter recognition by adding alphabet pony beads or letter magnets too. Grab a book about spiders too! Endless possibilities. 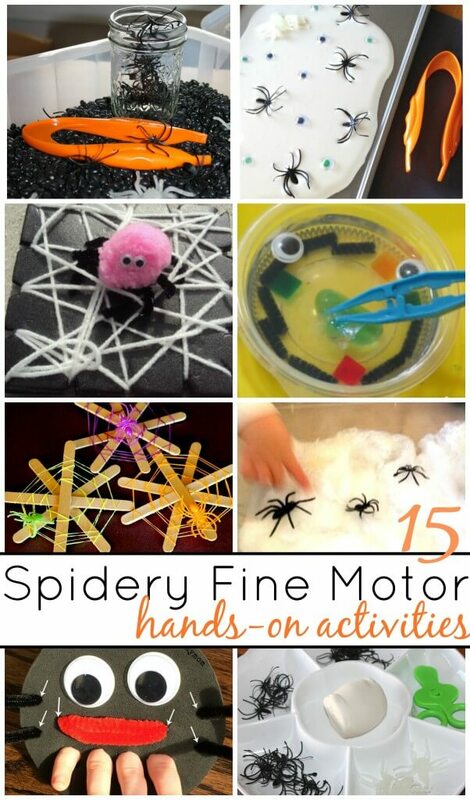 MORE FUN SPIDER FINE MOTOR IDEAS! 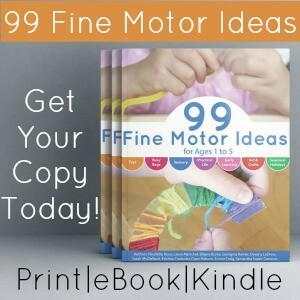 Make sure to check out our fine motor activities book! Love this idea! I need to get some of those tweezers and spiders!